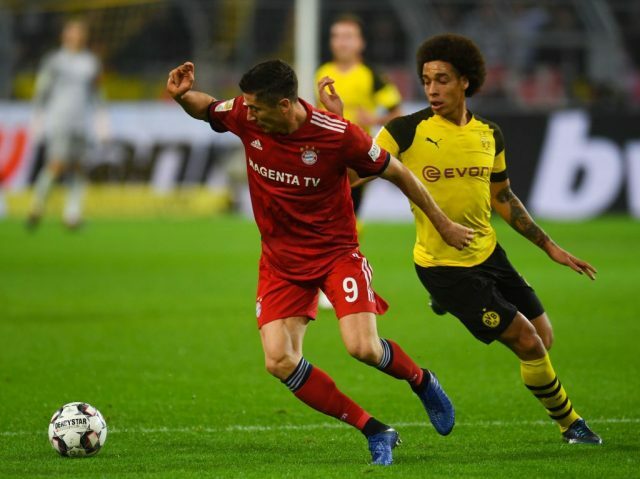 It has been labelled as ‘Germany’s Classic’ encounter for some time now, but on Saturday evening Borussia Dortmund vs Bayern München showed exactly why the Bundesliga is revered as one of the most exciting leagues in world football. Looking back on this fixture at half time, Bayern will wonder how the final score ended in defeat. The Bavarians were superior across the entire field for the opening 45 minutes. While Dortmund created the odd opportunity, it was the Rekordmeister who appeared to be in full control from the kick off. Penning their hosts back inside their own half, Bayern forced a nervous looking Dortmund into error after error. Julian Weigl – starting in only his second league match this season – seemed way short of the match fitness required to play in such a high profile fixture, and it was through his errors that Bayern built their opening dominance. Experience the atmosphere in Dortmund. Book your European football travel now by visiting Nickes.com! 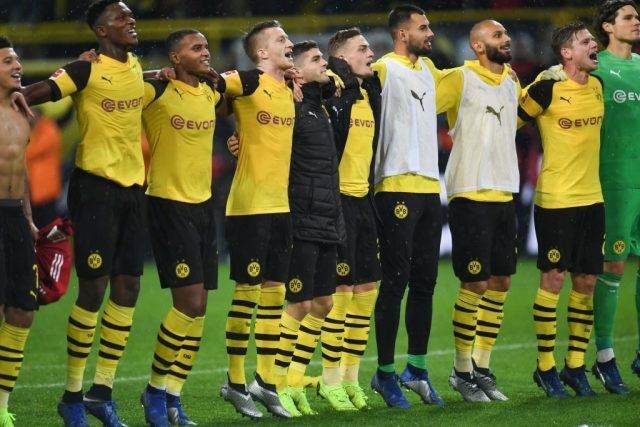 Dortmund looked a shadow of the side that had climbed to the top of the Bundesliga table, their fabled counter-attacking skills had all but deserted them. The turn over of possession to Bayern through sloppy control and misplaced passes were beginning to stoke the odd jeer from the watching faithful. Leaving the field at half time to a backdrop of whistles, Lucien Favre knew he had to make changes. It was the ineffective Weigl who made way, Mahmoud Dahoud given the signal to come on during the break. It was to be one of the key moments of the fixture. The game changed instantly as Dahoud and Axel Witsel struck up a midfield partnership that Bayern couldn’t live with. Clawing their way back into the fixture, Dortmund then fell asleep allowing Bayern to retake the lead inside three minutes. For all their intent, it was the inexperience of youth that allowed the visitors to recoup the advantage. Joshua Kimmich taking out three players with one expertly dinked pass onto the waiting head of Lewandowski. From that moment on the game belonged to Dortmund, as if the Bayern goal stung them into action. First Reus thundered a ball past Neuer, before Paco Alcácer left him grounded with a deft chip. The Spaniard underlining his ‘joker’ status by striking the net after, once again, coming off the substitutes bench. Dortmund’s speed and ability had deserted them for the opening half and Bayern looked dominant, as the final whistle sounded the match had been flipped on its head. A laboured Bavarian outfit had been torn apart by a youthful attacking yellow and black machine. Bayern have come under immense criticism this season, from the way they play football to the way the senior management conduct themselves. For all their problems, both on and off the field, one constant remains – Robert Lewandowski. The once darling of the Yellow Wall seems to be in the right place, at the right time, when an opportunity arises – and none more so when these two teams meet. Goals one and two this evening for Bayern were Lewandowski’s 13th and 14th against his old side. When the current champions took the lead in front of the Südtribüne, it could have only been one man to do it. Even when Bayern looked dishevelled, they still managed to create a dangerous opportunity inside the Dortmund box. Who was on hand yet again? Yes, that man Lewandowski and it was only a head-width that denied him his hat-trick in added time. 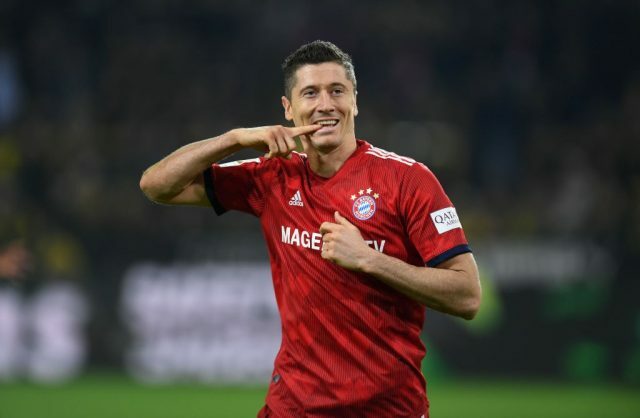 A correctly adjudged offside ‘Lewa’ was unable to bag a late-late equaliser, but the Polish star did underline that whatever the current future holds for the crisis hit Bayern, he must be the one to lead their front-line. 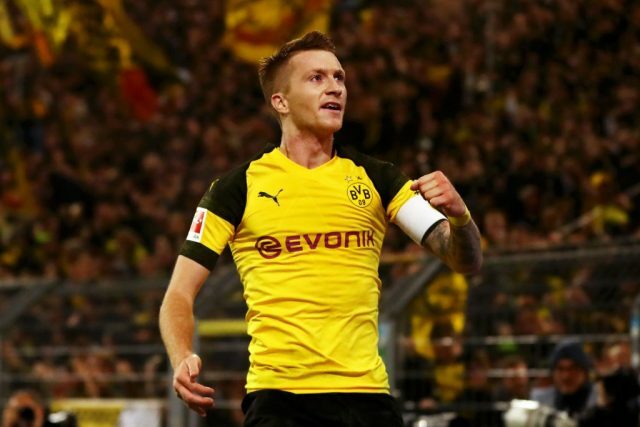 Marco Reus said that he would “give back every Euro” he had ever earned from football “just to have one injury free season” and you can see why. For all his attributes it has been injury that has defined his career so far, you can only imagine what more the forward would have achieved had his body not been so badly damaged by the rigours of the game. This season however, there is a hope he can stay injury free – with careful management by Favre this particular Reus could just be the best. Now captain of the club he loves, and under a manager who knows him exceptionally well, the striker seems to be at the top of his game. His tenacity was at the fore as he forced Neuer into giving away a penalty, he then picked himself up and blasted the spot kick home. Then, after missing an opportunity from three yards out, he kept his composure as he fired an unstoppable first time strike past his German internal colleague. The torjäger now sits atop of the race for the Torjägerkanone – eight goals and the Bundesliga is only on Matchday 11. If he can stay fit and in this form, Reus could get his hands on the Bundesliga shield for the first time. 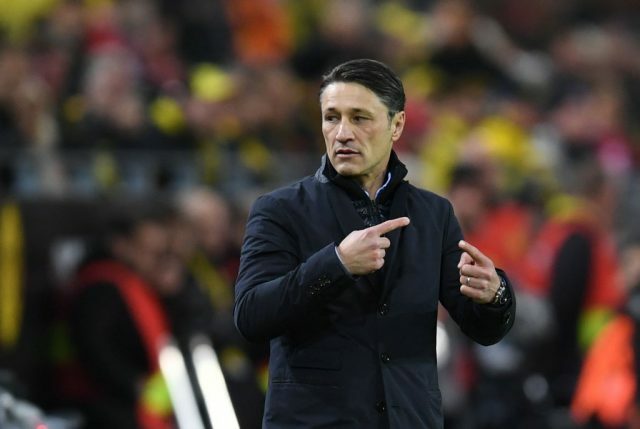 Borussia Dortmund vs Bayern München : What now for Niko Kovač? For a man under pressure, this result at the hands of Bayern’s fiercest rivals will have done little to quell the questions about his future. For every goal that goes in against the Bavarians, excited television directors instruct the gallery to cut to the camera trained on Uli Hoeneß and Karl-Heinz Rummenigge. What of their reaction? Then ‘bang’ cut to Kovač. Unfortunately this evening one such ‘cut’ captured Rummenigge hurriedly texting someone, Jupp Heynckes maybe? Facetious comments aside, this latest defeat comes after a number of poor performances in both the Bundesliga and Champions League. Winning is not enough for Bayern, it must be done in a Bavarian way. The Croatian’s post-match comments may not go down particularly well with those of a red and white affinity. “We lost the game, even though it could have been a draw – you can be satisfied with the performance” Kovač said in his press conference. There will be few associated with Bayern who will see their second half performance as satisfying – letting the lead slip twice and with it now comes a seven point gap to the top of the table. Before this fixture the talk was, could Borussia Dortmund step up to the task of beating the ‘sixpeat’ champions? Now, after this emphatic come back the question is can the Schwarzgelben win the title for the first time since 2012? The gap to Bayern is seven points, their closest challengers are fellow Borussians, Borussia Mönchengladbach – who managed a three-one victory on Saturday afternoon against Werder Bremen. Leaving Gladbach four points behind Dortmund. With an international break looming, Lucien Favre will hope all his stars come back unscathed – Marco Reus the main one. The forward returns to the German national side after pulling out with a knee problem in October. On return to Bundesliga action, Dortmund face an away trip to Mainz followed by a home match up against SC Freiburg – two fixtures in which you’d expect Favre’s side to take all six points, especially with the momentum this evenings comeback will give them. Should Dortmund have genuine title aspirations then they will be expected to pick up points against all teams outside of the top five. Their next big real test comes on Matchday 15, an away trip to Schalke. A big win in both the ‘Klassiker’ and the Revierderby is the stuff title dreams are made of.